Great New Zealand River Journeys was a three part series produced by George Andrews that examined the history, geography and people of three of New Zealand's most iconic rivers: comedian Jon Gadsby explores the Clutha river, poet Sam Hunt the Whanganui, and musician Lynda Topp takes on the Waikato. 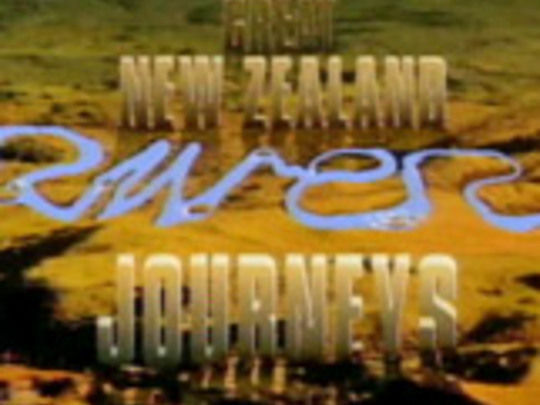 Produced by George Andrews, Great New Zealand River Journeys is a three-part series exploring the history and majesty of the Waikato, Wanganui and Clutha rivers. 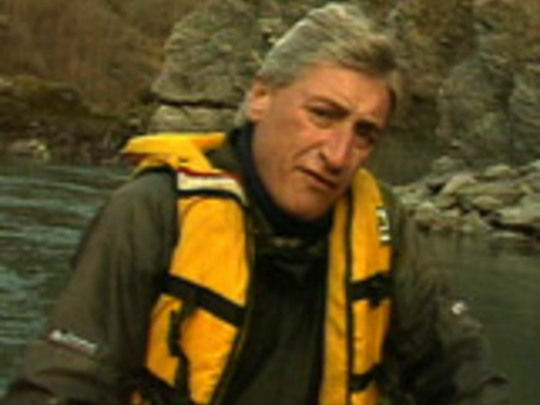 In this episode, Jon Gadsby explores the Clutha River and surrounds, and finds out about jet-boating and rafting (the cameraman falls in when he gets a little too close to his subject), bungy jumping, the Clyde Dam, Cromwell's giant fruit and Alexandra's giant clock. Gadsby enjoys the ubiquitous whitebait fritters offered by the locals before the journey ends at the mouth of the river.